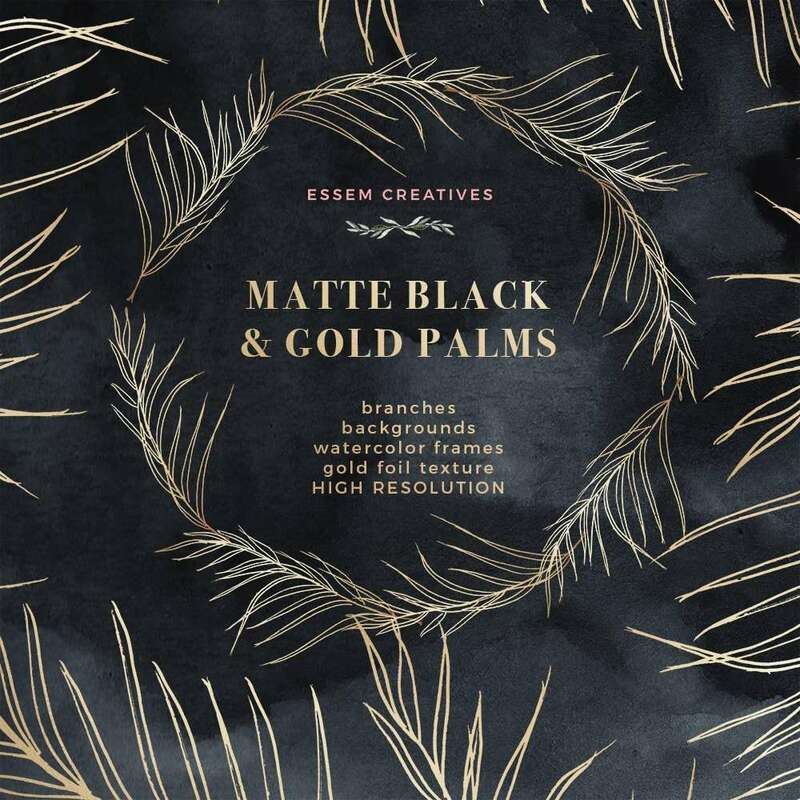 This is a set of rich, modern & luxurious Matte Black & Tropical Gold Palm leaves, wreaths borders & backgrounds in the Art Deco and Celestial Night Sky Themes. 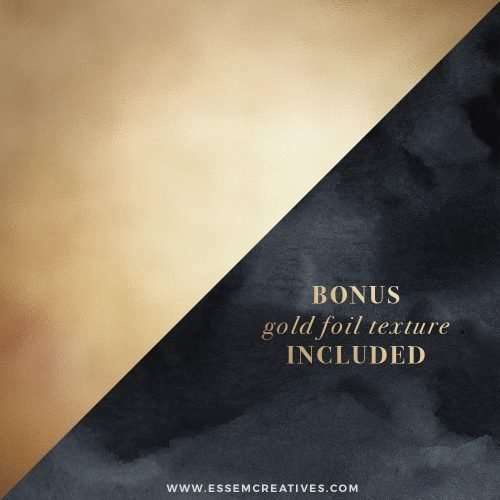 These are perfect for creating invitations & designs which will wow everyone. Instant download & available for commercial use (just select the Small Commercial or Large Commercial option under License Type). Download now & start making! 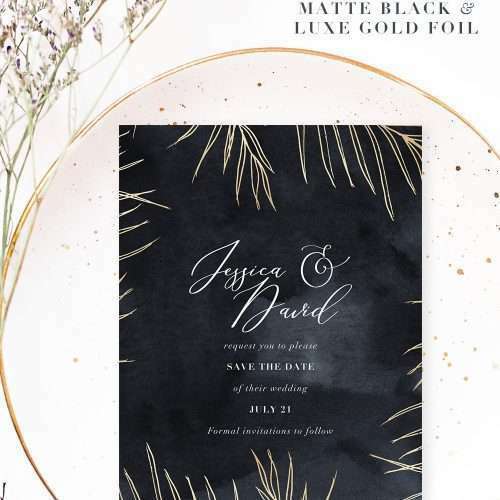 Watercolor Wedding Invitation Tutorial – in under 10 minutes with free software you have. Use this process to also make your own watercolor table numbers, place cards, welcome signs and more! 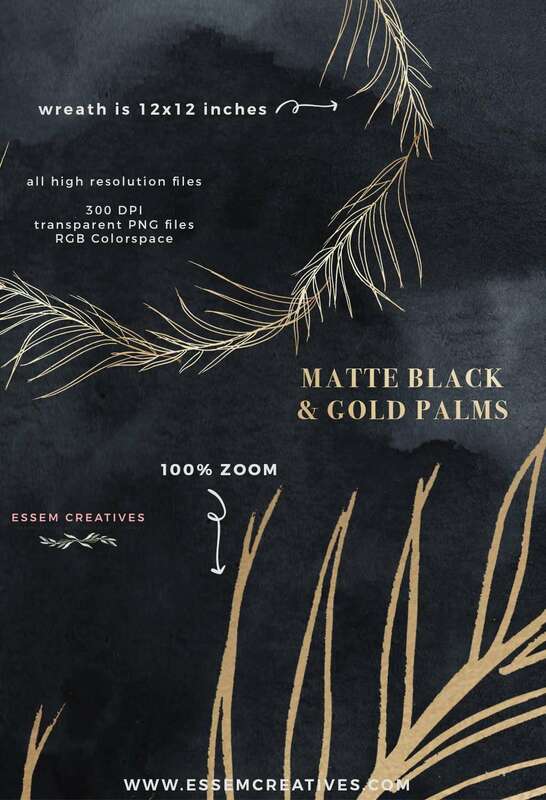 This is a set of Matte Black and Tropical Gold Palm Leaves & Greenery clipart, wreaths, borders and frames painted in a watercolor style with gold foil effect. 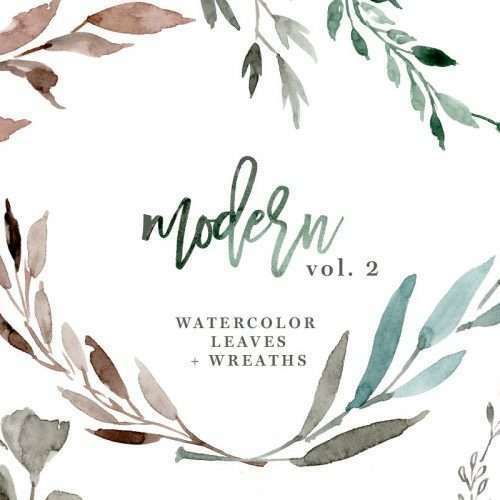 These have been painted in a luxurious modern and art deco style with a prominent watercolor effect. 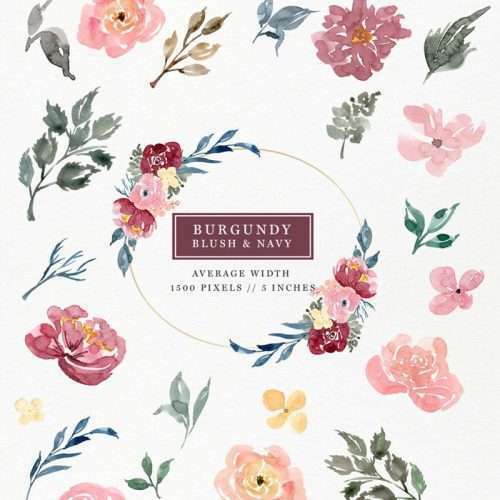 These are perfect for creating those vintage feel high end party invitations and paper goods which will wow everyone. I’ve worked very hard to make sure that these papers imbibe a feeling of rich, modern, art deco & classic elegance – perfect for modern design projects. Simply take a background, add your own text on top – and you’re done! 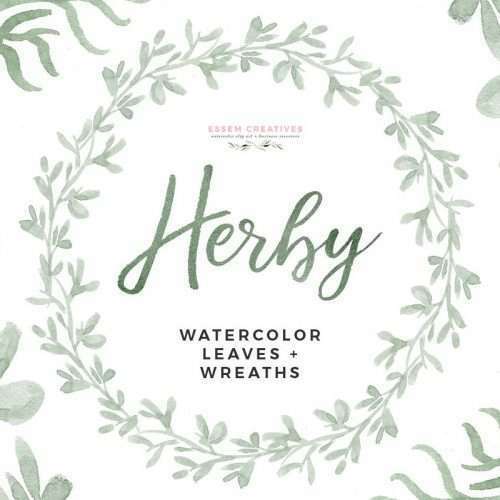 If you are planning to make watercolor invitations, party decorations or birthday party invites, these will be perfect for you. 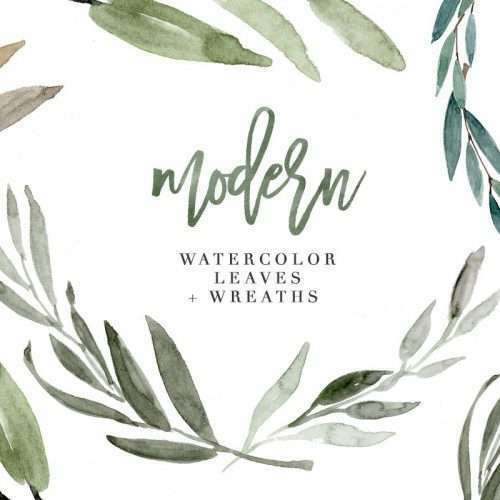 These will also work great for watercolor branding for your website or blog. 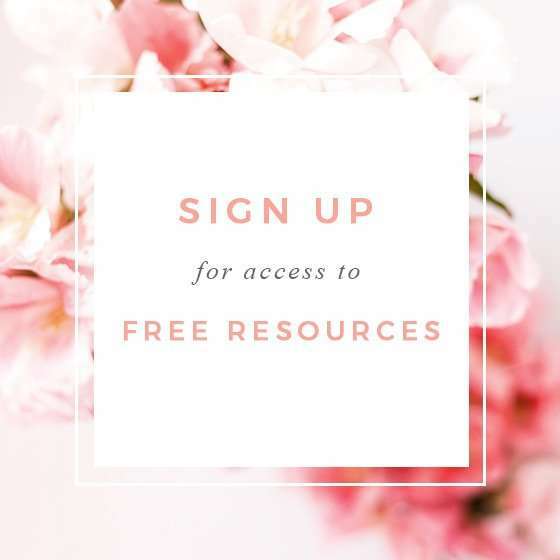 Add a touch of bold, high end and luxe but feminine effect to your website by using a watercolor background as your blog header or shop banner. 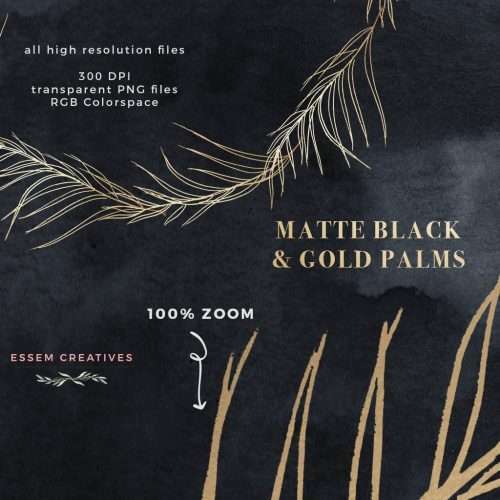 You can also use these to create Instagram quotes, Pinterest post graphics and also for blog graphics. 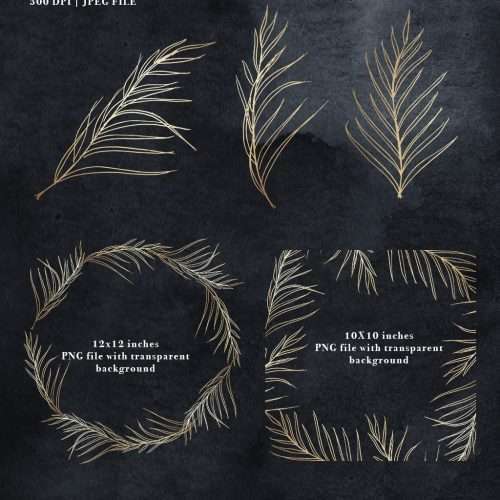 You can also use these to prettify your scrapbooking layouts, your planner pages and more! Fun & creative. These are instant downloads so you will automatically receive your files immediately after payment. No waiting! Don’t see a specific tutorial you want out here or have a question not answered in the FAQs? Just contact me! I love recording & uploading video tutorials based on feedback from my lovely customers like you. 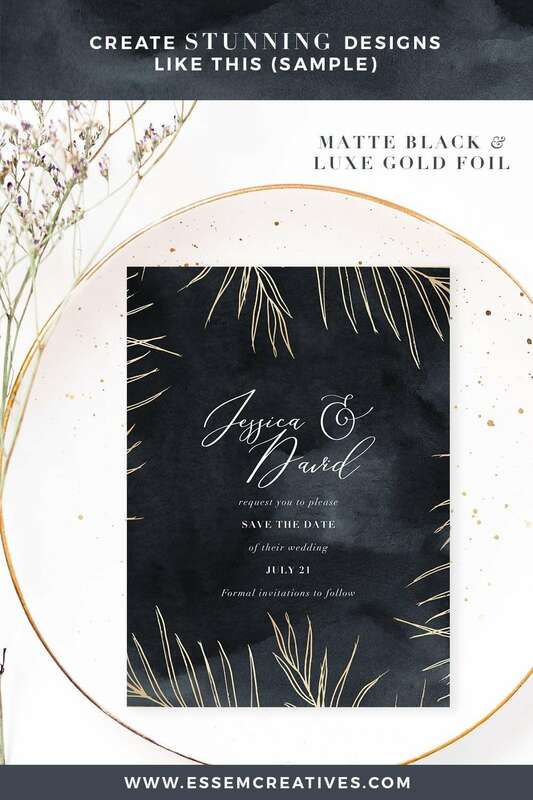 Love love love your designs – they are superb !